Virat Kohli, not many people knew this name back in 2007-08,as he was a chubby guy, with gelled hair who was leading the under 19 Indian team to World Cup . Year 2007-08 could also be referred to as the Era of the fantastic 4 of Indian cricket(Sachin Tendulkar ,Virender Sehwag ,Sourav Ganguly and Rahul Dravid),who knew that this guy from the streets of Delhi was the star in making. Everybody in the nation was fired up because of the heartbreaking performance of Indian cricket team in the world cup and he led the Under 19 cricket team to win the world cup, the same year. 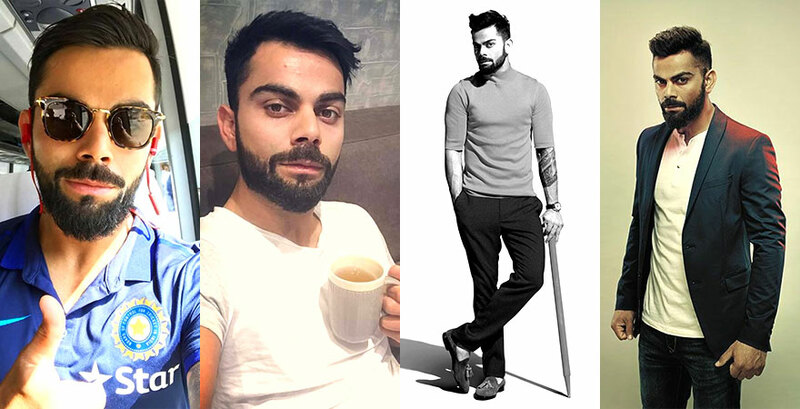 Virat Kohli, a Delhi guy who lived in Uttam Nagar. His father Prem Kohli was a criminal lawyer and mother Saroj Kohli was a housewife. Raj Kumar Sharma was his Cricketing coach in his early ages.He started his first class career ,by playing from the side of Delhi Ranji Cricket team. Intent of Virat Kohli towards cricket could be easily witnessed when he walked down the grounds next day of his father's death in 2006 and scored a 90 knock against Karnataka which was his best First Class score at that point of time. He shot to fame after leading the Under 19 Indian Cricket team to win the ICC World Cup. His performance in Under 19 World Cup attracted the sight of BCCI towards him, and was selected by the board for the senior side of India. He scored only 12 runs in his debut against Srilanka,lack of consistency and his chubby physic made the board to go out for some other youngsters because of which he was dropped from the senior side. After getting dropped from the senior side, when he made his comeback to the Ranji Circuit he certainly gave a glimpse of the Star that he is today ,and he scored some impressive scores consecutively, and gained the confidence of the national selectors due to which there was no option left but for the selectors to give Virat Kohli another go in the senior side. From then he never looked back and today nobody in the nation can imagine the Indian Cricket team without Virat Kohli. After 3 years of his debut he was also handed over the captaincy of the Test team by the BCCI, in the Caribbean Sand and Virat has been surpassing Dhoni's Awards and Records list ever since. He stroked out some remarkable and unbelievable performances, consecutively in the International Circuit which made him one of the 7 richest players around the World in the Forbes richest player list. 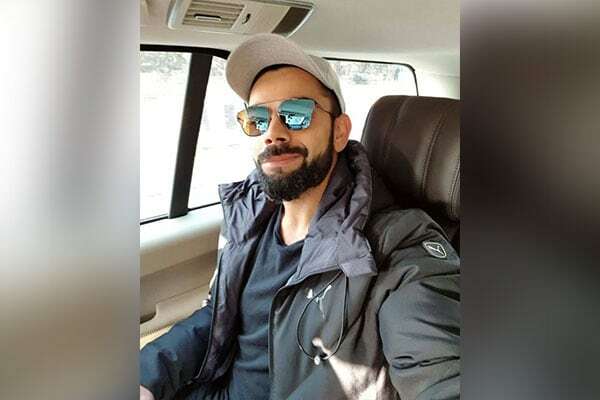 Virat Kohli is also being pictured as the Angry young man of the Indian Cricket team because of his aggressive attitude off and on the cricket field. In just a decade from the day of his debut he has smashed out many records which is next to impossible for any cricketer to do it in such a short span of his career.Vaious sports experts have referred to him better than Sachin Tendulkar, Brian Laraa. Different names that are being given to him like “king kohli”, “Virat Era”etc..Virat Kohli is regarded as the most sensational cricketer that India has ever produced. 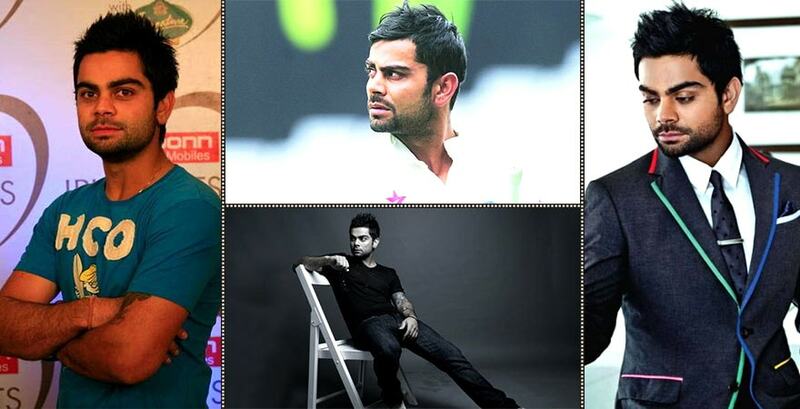 recently he was in news also for his Wedding with Anushka Sharma which was another sensational event of the year. 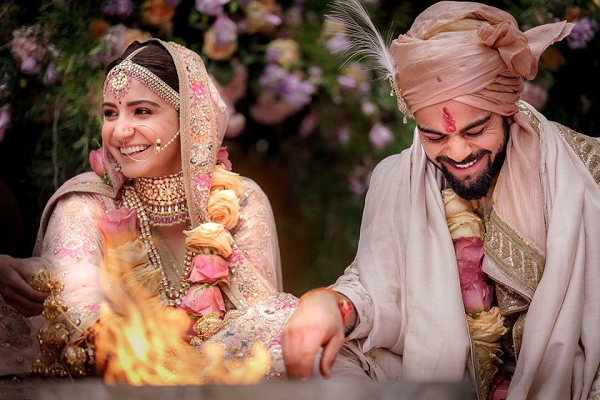 They had a lavish wedding true to the style of both these self made achievers - Anushka and Virat. They make a beautiful pair and it's love all around for both them. 1424 runs was the record that Ricky Pointing created in 2007. Despite not playing India's final ODI series of the year, the three-match home series against Sri Lanka, Kohli broke the former Australian captain's record with consummate ease. In 2017 he scored 3 double centuries in consecutive innings against Srilanka which made him the 2nd Indian cricketer after Vinod Kambli to do it. Indian captain to score 9,000 runs in just 194 innings, thereby becoming the first batsman to reach that mark inside 200 innings. 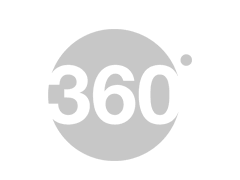 The previous record of AB de Villiers, which was set in February 2017 against New Zealand was broken by Kohli against New Zealand in Kanpur barely eight months later. Virat Kohli averages 84.66 while chasing in T20Is,which is best in the world. Sir Garfield Sobers Trophy (ICC World Cricketer of the Year): 2017. ICC ODI Player of the Year: 2012 ,2017. ICC World ODI XI: 2012, 2014, 2016 (captain), 2017 (captain). ICC World Test XI: 2017 (captain) .